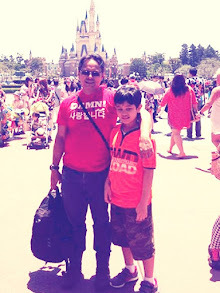 "...my father told me, someday someone gonna have to take a stand. Someday, someone gonna have to say enough!" Sir Winton: "I know crowds of people who go to church and synagogue who aren't religious .... religion, in most cases is a facade." John Lenon: "Imagine no possessions,...no need for greed or hunger, a brotherhood of man. Imagine all the people sharing all the world". Marx: "The struggle against religion is ... the struggle against that world whose spiritual aroma is religion". Parseus: "someday, someone gonna have take a stand. Someday, someone gonna have to say enough". Ben Echo: "If forgiveness is the absence of law enforcement, than forgiveness is nothing but anomie". 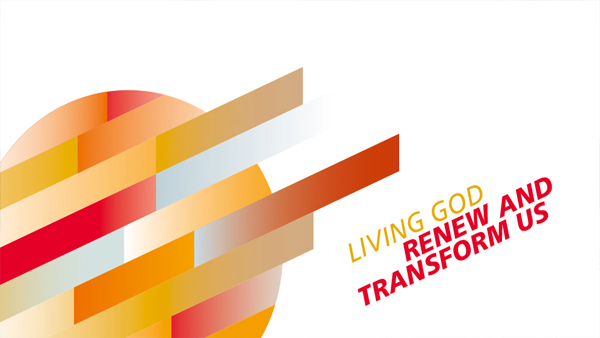 As we all know, the 26th General Council of the World Communion of Reformed Churches (The WCRC) will be held in Leipzig (Germany) from 29 June to 7 July 2017 under the theme “Living God, renew and transform us”. This theme echoes the spirit of the 26th General Council, that is to reflect its heritage and to transform it for the transformation of the world. This position is clearly shown in Chris Ferguson (the WCRC general secretary) statement that renewal of church ‒ thinking, acting and understanding in radical way ‒ is imperative for the WCRC. Right at this point, I want to make some critical notes about the form of presence that the WCRC chose in Indonesia, namely the founding of regional council in Indonesia. 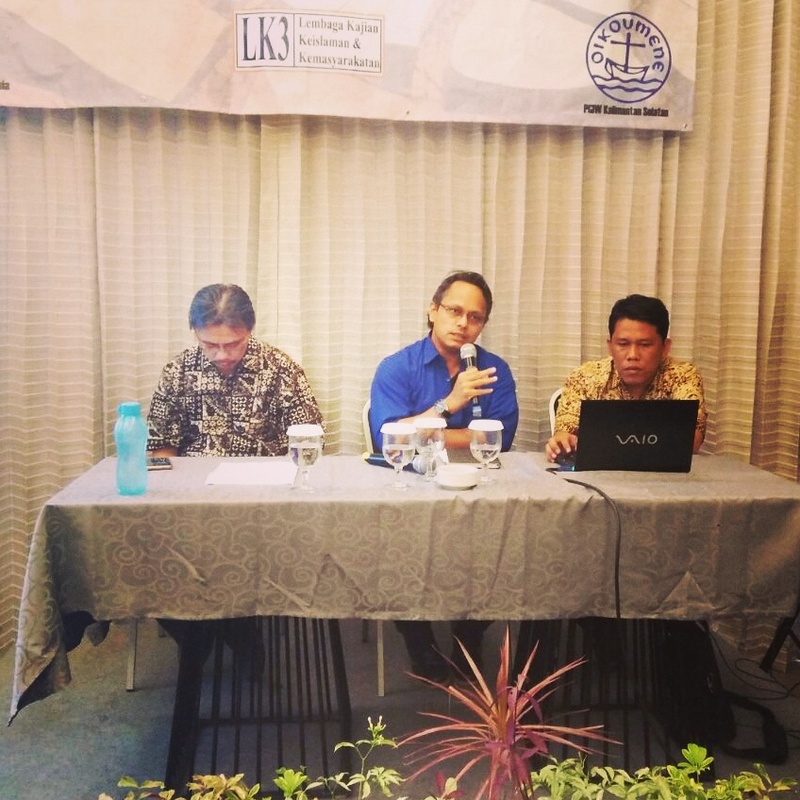 There are many things that need to be critically reviewed in the context of ecumenical challenges in Indonesia, especially considering the increased divergence of its landscape. However, in this writing I just want to focus on the issue of ecumenical partnership that has been part of ecumenical journey since the era of 1960s, and still important until now. This idea (ecumenical partnership) is important in ecumenical movement because it places local church (fellowship of churches at local level) as the center of ecumenical journey. That means, all ecumenical talks and achievements should have an impact at local level. And on the other side, all challenges at local level should also have an impact on ecumenical talks and achievements at various levels (national, regional and international). Right at this point, I want to make some critical notes about the founding of the WCRC regional council in Indonesia based on the significance of local church. To put it simply in one question, is regional council the right form of presence for the WCRC to respond the complexity of situation at local level in Indonesia? For me, frankly speaking, the answer is “no”. Why? First, because the founding of regional council in Indonesia shows how the WCRC has moved away from the CWCs theological position — made in the CWC conference of 1967 — to encourage its member churches to form church union in their own locus. In other words, to help churches at local level to grow together in their locality and to find a way for local convergence between different churches at local level. 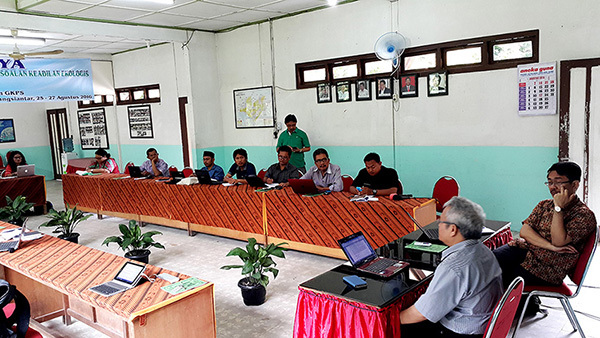 In this context, the founding of the WCRC regional council in Indonesia is counterproductive to that purpose, including to the problem of dividing lines at local level. Second, the reality of ecumenical movement in Indonesia shows how churches at local level have been living almost without effective local ecumenical table for many years; the table where different churches at local level get connected one another to reflect their common life and mission as the people of God. If the WCRC is really committed to the idea of ecumenical partnership, then this problem should get more attention so that all ecumenical talks and achievements can be translated at local level. By doing this, the WCRC also helps the Communion of Churches in Indonesia (the PGI) to develop effective ecumenical structure at local level that will: (a) connect local churches to other levels of ecumenical movement and (b) helps churches overcome poor level of communication as shown in the 2013 ecumenical survey in Indonesia. Unfortunately, until now churches in Indonesia still don’t have effective structure at local level. Third, according to the 2013 ecumenical survey in Indonesia, many churches see the biggest challenges they’ve been facing for the last ten years are the issues of human rights, poverty and ecology. These issues are not easy to deal with because: (1) churches have lack human resources and experience in these issues, (2) the problem of weak ecumenical structure at local level, (3) theological gap between churches, and (4) the overlapping church identities (confessional identity, sense of territory and ethnic identity) that bring tension in mission field. In the 2016 research on ecological justice and church responds in Indonesia, we can see the other factors that weaken church role in facing the current challenges, namely conflict of interest between churches and church institutional weakness. In this context, the founding of the WCRC regional council in Indonesia is like taking a direction that is not connected to the real challenges at local level, even contradict to it. Fourth, there are many inter-church and intra-church institutions in Indonesia that finally make ecumenical landscape become a bit crowded and have an impact on ecumenical architecture in Indonesia that looks confused and ineffective. That’s why in some areas, according to the 2013 ecumenical survey in Indonesia, these different institutions even compete with one another because of different agendas and interests they have. 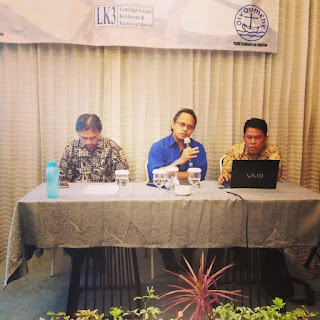 If we compare it with the 2016 research on ecological justice and church responds in Indonesia, we also can see how these different institutions play weak role (ineffective) in facing ecological injustice at local and national level. 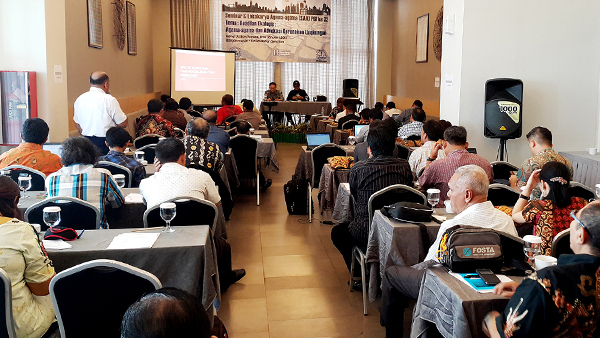 Fifth, the 2013 ecumenical survey shows the tendency of growing institutionalization of ecumenical movement in Indonesia. This problem has made confessional identity, sense of territory and ethnic identity finally being institutionalized in church existence. That's why, sectoral and jurisdictional way of thinking are growing and have an impact on mission field, church institutional culture and other parts of church life. All these problems bring big question mark to the WCRC form of presence, namely the regional council in Indonesia. This form of presence is basically not connected to the real challenges being faced by many churches at local level. If the WCRC really want to transform its heritage to respond the current challenges in Indonesia, then some challenges that I mentioned above should be put into consideration to bring renewal of its presence in Indonesia. I think the 26th General Council is the right time for the WCRC to do it. As I said before, Chris Ferguson (the WCRC general secretary) already made very strong statement that renewal of church is imperative for that the WCRC. So, now we are waiting for the renewal. Dunia sebagai panggung anugerah keselamatan Allah, di mana manusia berhadapan langsung dengan Allah baik dalam wilayah personal maupun wilayah publik, menjadi sorotan diskusi yang diadakan di BPK Gunung Mulia, pada 4 April 2017. Diskusi ini – yang diadakan oleh BPK Gunung Mulia, Persekutuan Gereja-gereja di Indonesia (PGI) dan GAMKI − merupakan awal dari rangkaian diskusi 500 tahun reformasi yang akan jatuh pada tanggal 31 Oktober 2017. Kegiatan ini diadakan dalam rajutan dengan semangat yang mendasari perayaan 500 tahun reformasi di tingkat mundial, yakni menemukan jalan bersama menuju keesaan. Bagi para pembicara, Dr. Zakaria J. Ngelow dan Prof. Dr. B. S. Mardiatmadja, ada sejumlah titik tengkar yang muncul dalam gerakan reformasi, dan hal tersebut harus dibaca dalam konteks pergulatan sosial dan budaya di Eropa daratan; wilayah di mana reformasi terjadi. Mardiatmadja bahkan menekankan perlunya menangkap pergulatan personal para reformator (Martin Luther, Philip Melanchthon, Huldrych Zwingli, Johannes Calvin) mengingat di dalamnya terjadi ketegangan antara bergulatan batin individu (relasi personal manusia dengan Allah) berhadapan dengan gerak birokratis gereja. Menariknya, bagi Mardiatmadja, hal ini sesungguhnya sudah terjadi jauh sebelum Luther (1483–1546) dan para reformator lainnya. Tokoh-tokoh seperti Antonius dari Mesir (251–356), Benedictus Nursia (480-547), Bernardus Clairvaux (1090-1153), Fransiskus Assisi (1181-1226), Dominicus (1170-1221) dan Ignatius Loyola (1491-1556) juga bergumul dengan pembaruan batin di tengah situasi keagamaan yang bercorak formalitas. Munculnya tokoh-tokoh tersebut (terkait pembaruan batin) juga menunjukan bahwa pada abad ke-12 ada kebutuhan pembaruan kehidupan keagamaan. Kebutuhan ini berlanjut terus pada abad ke-15 dan 16. Di sinilah berkembang agama rakyat yang menuntut koreksi terhadap kelembagaan, praktik dan ajaran gereja yang dipandang mengalami kemerosotan. Bagi Mardiatmadja − dengan merujuk buku yang di-review pada diskusi ini, yakni Sejarah Pemikiran Reformasi karya Alister E. McGrath − agama rakyat turut mendorong kemajemukan pandangan keagamaan yang, selain berelasi dengan arus nasionalisme di Eropa daratan, membuat kewibawaan gereja berada dalam sorotan. Perkembangan seperti ini tidak lepas dari munculnya era renaissance (abad ke-14 s/d 17) yang ditandai kebangkitan dalam seni dan literatur di Eropa. Di era ini humanism sebagai gerakan intelektual – yang memberi penghargaan pada manusia − lahir dan menjadi pijakan penting untuk memahami reformasi, khususnya terkait sikap terhadap teologi skolastik, kitab suci, bapa gereja, pendidikan maupun retorika (terkai peran pewarta dalam reformasi). Dalam konteks ini Mardiatmadja, dengan merujuk karya Alister E. McGrath, menyoroti pengaruh teologi skolastik ke dalam reformasi, yakni posisi Agustinus yang menekankan keputusan Allah (anugerah) untuk mengaruniakan rahmat kepada manusia. Para reformator umumnya berada dalam posisi ini (keselamatan sebagai anugerah), namun dengan penekanan yang tidak selalu sama. Luther menekankan pembenaran oleh iman (Anugerah yang bertumpu pada penebusan Kristus) yang buahnya adalah pemulihan hubungan manusia dengan Kristus secara personal; sekaligus merefleksikan kehadiran Kristus secara personal dalam diri manusia. Sementara bagi Zwingli (1484-1531), buah dari penebusan adalah kehidupan bersama. Hal ini mengingat Zwingli menekankan firman (Alkitab) sebagai sumber tuntunan moral bagi kehidupan bersama. Buah dari iman dan anugerah Allah adalah masuknya orang percaya ke dalam tuntunan moral bagi kehidupan bersama; ini sekaligus merefleksikan kepastian relasi manusia dengan Allah. Martin Bucer (1491-1551) mengaitkan penebusan dengan pengudusan manusia (anugerah Allah atas orang berdosa) dan respon manusia dalam bentuk ketaatan terhadap tuntunan moral yang ada dalam Injil; ini dikenal dengan istilah “pembenaran ganda”. Posisi ini kemudian dirumuskan ulang oleh Calvin (1509-1564) dengan istilah “anugerah ganda”. Di sini Calvin tidak 100% sejalan dengan Bucer mengingat bagi Calvin pembenaran dan kelahiran kembali adalah buah dari pulihnya hubungan manusia dengan Kristus melalui iman. Perbedaaan seperti ini (ketegangan antara pembenaran secara personal dengan tuntutan moral) bisa juga dibaca dengan memperhatikan perbedaan konteks yang dihadapi para reformator. Di sini Ngelow memberikan catatan menarik, khususnya terkait konteks sosial di Swiss yang berbeda dari konteks Luther di Jerman. Swiss adalah negara konfederasi yang diisi oleh para pengungsi. Hal ini membuat ketertiban menjadi penting. Oleh karena itu, tanggungjawab moral dalam kehidupan bersama lebih menonjol di Swiss. Bagi Ngelow, inilah konteks yang membuat Calvin merumuskan teologi yang menekankan dunia sebagai panggung keadilan Allah. Membaca pergulatan mengenai anugerah keselamatan Allah, yang menempatkan manusia berhadapan langsung dengan Allah, menjadi menarik saat disandingkan dengan suasana kebatinan yang berlangsung dalam gerakan humanisme. Suasana tersebut adalah upaya membebaskan manusia dari sikap mental yang ditekan di bawah ortodoksi agama menuju kebebasan berpikir manusia. Oleh karena itu, rasanya tidak aneh juga saat Alkitab dan sakramen menjadi titik tengkar yang mewarnai gerakan reformasi. Di dalamnya terdapat gaung alam pikir gerakan humanisme yang meletakan kewibawaan pada sumber-sumber awal. 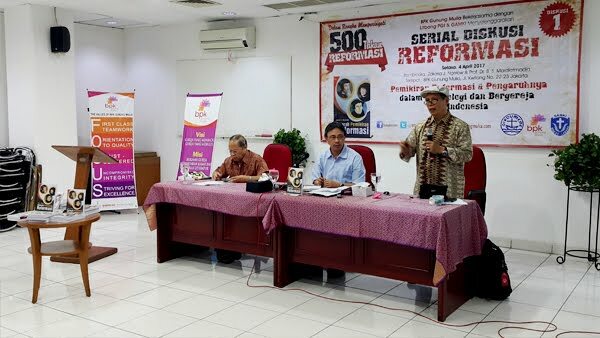 Para reformator, sebagaimana disinggung Mardiatmadja, memberi penekanan pada kewibawaan kitab suci sehingga Vulgata (khususnya terkait status Apokrifa) dan sakramen diperiksa (dipertanyakan) kembali. Bagi Mardiatmadja, sekalipun terdapat perbedaan (terkait jumlah sakramen, presentia dan transubstantiatio), umumnya para reformator memiliki posisi yang sama dengan gereja mengenai dasar sakramen. Posisi tersebut adalah tindakan Allah yang mengakomodasikan diri ke dalam keterbatasan manusia. Dan di sini, janji-janji Allah untuk terus hadir dalam kehidupan manusia dipentaskan dalam sakramen. Selain itu, titik tengkar yang ada juga digumuli dalam konsili Trente (1545-1547) yang menekankan pentingnya pewartaan dan menempatkan Alkitab sebagai sumber bersama dengan tradisi dan magisterium. Di kemudian hari, juctification sebagai salah satu titik tengkar penting dalam reformasi diurai dalam kesepakatan The Joint Declaration on the Doctrine of Justification; dokumen yang menegaskan bahwa baik Katolik maupun pihak Lutheran berbagi keyakinan yang sama, yakni Kristus sebagai yang utama dan satu-satunya mediator. Dalam perjalanan reformasi abad ke-16 dan 17, sebagaimana dicatat oleh Ngelow, pemikiran politik terlalu muncul. Hal ini mengingat adanya relasi antara para reformator dengan pemerintah (penguasa) lokal. Luther misalnya didukung oleh para pangeran lokal di Jerman, sementara Zwingli dan Calvin didukung dewan kota. Ini bisa dibandingkan juga dengan catatan McGrath yang menggambarkan adanya simbiosis mutualisme antara para reformator dengan pemerintah lokal dalam rangka ketertiban umum dan upaya memerangi kelompok-kelompok bidat. Bagi Ngelow, pemikiran politik baru muncul di kemudian hari, misalnya pada generasi seperti Karl Barth (1886-1968), Reinhold Niebuhr (1892-1971) dan Dietrich Bonhoeffer (1906-1945). Sementara di Indonesia, tokoh seperti P. D. Latuihamallo (1918-2014) dan Eka Darmaputera (1942-2005) dapat menjadi rujukan. Selain itu, Konfesi Accra yang dihasilkan oleh World Alliance of Reformed Churches di Ghana pada tahun 2004 juga merupakan jejak pemikiran politik dari gerakan reformasi di kemudian hari. Frasa “bumi sebagai tubuh kehidupan” sesungguhnya hendak merefleksikan keterhubungan segala sesuatu di muka bumi. Dan karena itu, persoalan ekologi tidak bisa dibaca lepas dari pergumulan di wilayah keadilan sosial dan ekonomi. Hal ini menjadi sorotan Seminar Agama-agama (SAA) ke-32 yang diadakan Persekutuan Gereja-gereja di Indonesia (PGI) dari tanggal 11-14 Januari 2017 di Banjarmasin (Kalimantan Selatan). Sorotan ini membuat agama-agama, khususnya gereja-gereja di Indonesia, perlu membaca kembali relasi manusia dengan bumi dalam rangka merawat kehidupan yang berpusat di muka bumi. Dalam pembacaan Pdt. Gomar Gultom (Sekum PGI), perspektif Kristen mengharuskan gereja-gereja membaca manusia dalam kesatuan dengan bumi; manusia dibentuk dari bumi (debu tanah; Kej 2:7) dan hidup dari bumi (Kej 3:19). Hal ini juga yang membuat PGI memberi perhatian pada keadilan ekologis, sebagaimana digariskan dalam sidang raya PGI di Nias (2014). Apa yang disampaikan oleh Pdt. Gomar Gultom pada dasarnya bisa dibaca secara bersamaan dengan pembacaan agama lain, sekalipun tentu dengan bahasa dan narasi teologi yang berbeda. Kenapa demikian? Karena kerusakan ekologi, yang berjalan bersamaan dengan ketidakadilan sosio-ekonomi, telah membawa agama-agama berada dalam tantangan bersama untuk merefleksikan keberadaanya di tengah bencana ketidakadilan ekologis yang ada. Dari perspektif konghucu misalnya, sebagaimana disampaikan oleh wakil Matakin, manusia dan bumi pada dasarya adalah satu tubuh mengingat individu tidak berdiri sendiri, melainkan menyatu dengan komunitas dan alam. Oleh karena itu, melukai alam berarti melukai tubuh itu sendiri, dan sekaligus merefleksikan prilaku yang semakin menjauh dari kebajikan Tuhan. Perspektif yang terfokus pada manusia (anthroposentris), dari sudut pandang Konghucu, dipandang tidak lagi memadai dalam membaca relasi manusia dengan alam. Posisi ini sesungguhnya di sadari juga oleh agama-agama lain, dan ini sekaligus menggambarkan bagaimana agama-agama bergelut untuk menemukan bahasa yang tepat dalam memahami kembali relasi manusia dengan alam. Di dalam Islam, menurut Mochammad Maksum Machfoedz (wakil NU), dikenal relasi segitiga antara Allah (sang pencipta), sesama manusia dan alam. Relasi ini harus dijaga manusia (sebagai khalifah) mengingat Allah dipahami telah menetapkan segala sesuatu sesuai ukuran dan tempatnya. Apabila relasi ini terusik, keseimbangan yang ada pun akan terganggu. Inilah yang dipandang sebagai penyebab kerusakan, atau bahkan kehancuran, lingkungan hidup. Oleh karena itu, di dalam Islam, manusia tidak bisa memahami dirinya di luar tanggungjawab mengelola keseimbangan alam. Bahkan, menurut Mochammad Maksum Machfoedz, mengelola keseimbangan alam adalah ibadah yang harus dijalani manusia sebagai khalifah. Di sini kita bisa melihat bahwa agama-agama memiliki titik berangkat yang sama di mana alam (bumi) tidak bisa dipahami sebagai sesuatu yang eksternal dari kehidupan manusia. 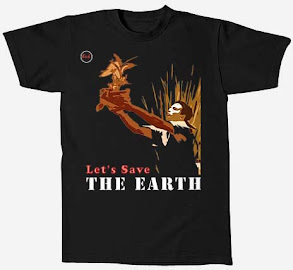 Sebaliknya, keduanya saling terhubung satu dengan yang lain dalam konteks sustainability of life. Dalam bahasa Pdt. Martin Sinaga (salah satu pemakalah), posisi ini disebut “eko-spiritualitas” di mana manusia membaca dirinya dalam harmoni dengan alam. Pembacaan seperti ini, bisa dikatakan, memperlihatkan terjadinya dialog agama-agama dengan kearifan lokal. Hal ini mengingat dalam agama lokal, sebagaimana digambarkan oleh Pdt. Marko Mahin (Dayak Kaharingan) dan Mijak (wakil suku anak dalam), siklus hidup manusia dipahami secara dialogis dengan siklus alam. Dan karena itu, keseimbangan relasi antara manusia dan alam menjadi penting dalam menopang sustainability of life. 10. Terjadinya kemiskinan di daerah-daerah di mana industri ekstraktif berlangsung. 4. Adanya pemisahan isu lingkungan hidup dari isu keadilan sosio-ekonomi dalam kegiatan gereja. Ini tampak dari fokus gereja - baik dalam pengajaran maupun aksi - yang lebih tertuju hal klasik dalam pemeliharaan lingkungan, misalnya anjuran atau arahan agar tidak merusak lingkungan, aksi penanaman pohon, membuat lubang biopori, daur ulang sampah dan sebagainya. Dalam catatan Pdt. Jacky Manuputty, advokasi “Save Aru” sesungguhnya menunjukan bahwa gereja memiliki kemampuan untuk bergerak lebih jauh, yakni sampai ke wilayah advokasi dalam merespon isu keadilan ekologis. Namun, hal ini menuntun kemauan dan keberanian gereja bergerak bersama-sama dengan berbagai elemen masyarakat sipil. “Dibutuhkan pertobatan” merupakan poin yang diangkat oleh Pdt. DR. Richard Siwu dalam lokakarya keempat “Pergumulan dan Keterlibatan Gereja dalam Persoalan Keadilan Ekologis” di Kotamobagu (Bolaang Mongondow), 8-10 September 2016. Kegiatan ini diselengarakan oleh Persekutuan Gereja-gereja di Indonesia (PGI), dan bertindak sebagai tuan rumah adalah Gereja Masehi Injili di Bolaang Mongondow (GMIBM). Poin yang diangkat Siwu dapat dibaca sebagai refleksi yang menghubungkan berbagai persoalan ekologis dan keadilan sosial yang berlangsung di wilayah Sulawesi Utara dan Gorontalo; peserta lokakarya berasal dari kedua wilayah tersebut. Dalam catatan Prof. DR. Urbanus Naharia (salah satu pembicara), berbagai persoalan ekologis yang berlangsung di level lokal pada dasarnya harus dibaca juga secara global. Hal ini mengingat berbagai kerusakan tersebut, yang berlangsung di berbagai tempat, telah mengubah pola iklim dunia yang pada gilirannya meningkatkan akselerasi kerusakan bumi; misalnya perubahan iklim mengakibatkan rusaknya ekosistem wilayah pesisir, hilangnya pulau, berkembangnya virus di daerah tropis dan terjadi kekeringan di berbagai tempat (naiknya suhu bumi). Nahiria mengaitkan persoalan ini dengan pola produksi ekstraktif yang berlangsung untuk mengisi konsumsi manusia yang tidak terbatas. Deforestasi untuk kepentingan industri misalnya berkontribusi dalam pembentukan gas rumah kaca. 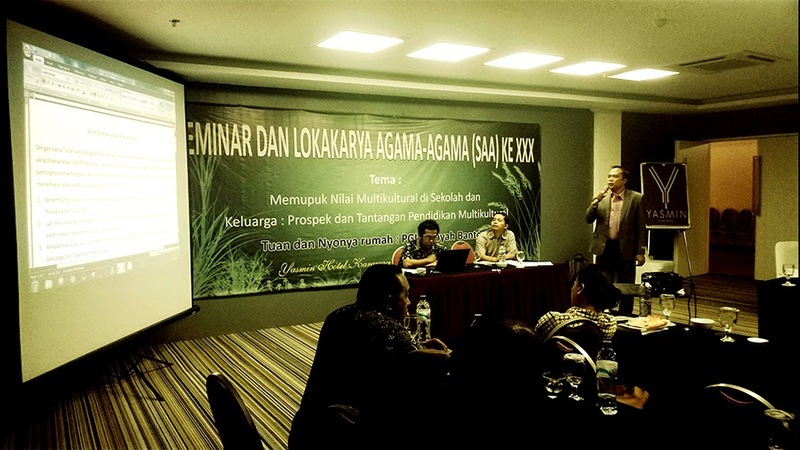 Kondisi ini diperparah dengan aktivitas pertambangan yang menghasilkan limbah beracun (mengandung merkuri dan sianida) yang mencemari air dan tanah, konsumsi bahan bakar fosil dalam jumlah besar dan upaya memompa produksi pangan dengan menggunakan pestisida yang berdampak bukan saja pada tanah dan air, namun juga pada produksi gas rumah kaca. Catatan yang dibuat Nahiria bisa membantu gereja untuk memahami kerusakan lingkungan, sebagaimana diutarakan para peserta lokakarya, dengan bencana ekologis dalam skala global. Di tingkat lokal, masalah kekeringan dan kelangkaan air bersih - dalam pembacaan para peserta lokakarya - merupakan dampak yang sangat dirasakan oleh masyarakat. Dampak ini terjadi di tengah penghisapan sumber daya alam (SDA) dalam bentuk pertambangan dan deforestasi yang berlangsung tanpa kedali. Dari pemantauan para peserta lokakarya, kepentingan ekonomi dan politik lokal menjadi kekuatan yang bergerak di balik bencana ekologis yang dirasakan masyarakat. Hal seperti ini pada gilirannya juga mengubah prilaku masyarakat, yakni berkembangnya ketergantungan masyarakat pada aktivitas ekstraktif karena dapat menghasilkan uang dengan cepat. Pada titik ini, gereja tampak kesulitan menghadapi akselerasi kerusakan lingkungan dan ruang hidup manusia. Ini tampak pada lemahnya koordinasi antargereja, tidak adanya wadah kajian antargereja di level lokal yang dapat mendeteksi dengan cepat kerusakan di wilayah kehadiran gereja, ketidakmampuan gereja mengendalikan konsumsi masyarakat, posisi gereja yang lemah baik untuk memediasi masyarakat (yang berhadapan dengan elit ekonomi dan politik) maupun untuk memengaruhi kebijakan publik. Ini belum lagi kesibukan gereja dengan persoalan hukum terkait harta milik gereja dan lemahnya infrastruktur oikoumene di berbagai level. Dengan kata lain, di tengah bencana ekologis yang terjadi di berbagai tempat, gereja sepertinya menghadapai persoalan internal yang rumit. Dan karena itu, sebagaimana disinggung Siwu, dibutuhkan pertobatan baik oleh gereja maupun berbagai komponen masyarakat. Penguatan masyarakat lokal merupakan tantangan yang penting mendapat perhatian gereja-gereja dalam berhadapan dengan persoalan keadilan ekologis. Hal ini tampak dalam sejumlah isu yang mengemuka dalam kegiatan lokakarya “Pergumulan dan Keterliban Gereja dalam Persoalan Keadilan Ekologis” yang diadakan oleh Persekutuan Gereja-gereja di Indonesia (PGI). Lokakarya tahap awal ini diadakan untuk gereja-gereja di wilayah Sumatra, dan berlangsung dari tanggal 25-27 Agustus 2016 di Pematangsiantar; Gereja Kristen Protestan Simalungun (GKPS) bertindak sebagai tuan Rumah. Sejumlah utusan gereja dari Bengkulu, Kep. Riau, Nias, Mentawai, tanah Karo, Simalungun dan Medan menyoroti gerak pembangunan yang berdampak pada masyarakat lokal dan alam sebagai ruang hidup mereka. Pertambangan dan hutan merupakan isu yang menonjol dan memiliki daya rusak terhadap harmoni manusia dengan alam. Selain itu, sektor pariwisata – khususnya pengembangan wilayah danau Toba – mendapat sorotan khusus mengingat dampaknya terhadap rusaknya alam dan tatanan sosio-budaya yang selama bertahun-tahun menjadi pijakan masyarakat dalam memahami alam dan manusia. Kombinasi besarnya arus modal dan kepentingan politik telah mengubah alam menjadi objek ekstraktif dalam rangka akumulasi modal. Hal ini kemudian diikuti kerusakan sumber hidup manusia, gesekan horizontal (baik antarmasyarakat maupun antara masyarakat dengan kekuatan modal dan politik) serta kerusakan cara pandang masyarakat terhadap alam. Di sini alam seperti kehilangan makna komunalnya, lalu diganti dengan nilai ekonomi (uang). Pergeseran seperti ini pada gilirannya berdampak terhadap relasi sosial, khususnya cara manusia memahami sesamanya. Penguatan masyarakat lokal membutuhkan keterlibatan gereja-gereja, bersama-sama dengan komponen masyarakat sipil, untuk memperkuat posisi tawar masyarakat dalam berhadapan dengan kekuatan modal dan politik. Hal ini penting mengingat masyarakat lokal sesungguhnya berada di baris terdepan saat berhadapan dengan manuver kepentingan ekonomi yang mengubah alam menjadi objek ekstraktif. Dalam rangka penguatan masyarakat lokal, gereja perlu mengembangkan percakapan kontekstual dengan berbagai pihak agar masalah ekologi tidak menjadi anonim di mata gereja, sebagaimana disinggung oleh Pdt. Martin Sinaga (salah satu pembicara). Percakapan kontekstual yang juga memampukan gereja dan masyarakat sipil berperan di wilayah kebijakan yang menempatkan keadilan ekologis sebagai pijakan dari berbagai regulasi; baik di level nasional maupun daerah. Sebagaimana di katakan oleh Jhonny Simanjuntak (salah satu pembicara): “hukum lingkungan hidup harus menjadi batang dari peraturan lainnya baik terkait industri, kehutanan, perikanan dan seterusnya”. Bagi para peserta lokakarya, gereja perlu melakukan mainstreaming isu keadilan ekologis, penguatan pendidikan ekologis dan meningkatkan sinergisitas (baik antargereja maupun antara gereja dengan masyarakat sipil) dalam membaca dan merespon persoalan ekologi yang terjadi di tingkat lokal. “The Unity in Action” is a well-known phrase in the context of ecumenical movement in Indonesia, especially for churches who are structurally part of the Communion of Churches in Indonesia (the PGI). The phrase reflects the missional turn in ecumenical thinking that has been happening since the mid-1980s. Actually, I have some critical note on this missional turn. But, I decided to focus only on the issue of stagnation to reflect on the 65th anniversary of the PGI which was celebrated on 25 May 2015. As far as I know, the issue of stagnation can be found in the PGI research report on ecumenical movement in Indonesia 2013. But of course, not all people agree on the conclusion that ecumenical movement in Indonesia has been stagnant. For them, churches and ecumenical agencies have made many progress in Indonesia. This conviction is not totally wrong because if we read the PGI research report on ecumenical movement in Indonesia 2013, we would find how churches in Indonesia have achieved common direction and structure to manage the ecumenical journey. Moreover, many churches have even actualized their response to some current issues, such as the problem of political responsibility, ecological issue, economic injustice and building cooperation with people from different religious traditions to oppose discriminatory regulations in Indonesia. The above facts actually show the progress of ecumenical movement in Indonesia. That’s why, on the one hand, I do agree that ecumenical movement in Indonesia is not totally stagnant. We can see how the PGI have played its role for many years to bring churches – which are separated geographically and fragmented on the basis of ethnic identity and denominational lines – on the one ecumenical table. 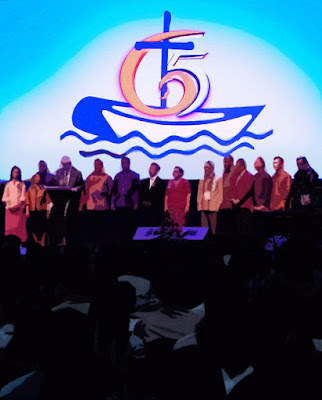 For me, it is hard to imagine that in the midst of extraordinary diversity in Indonesia, the churches can come at the one ecumenical table and work together every year at national and regional level. Many recommendations have also been made by churches and ecumenical agencies in the context of joint mission in Indonesia. The PGI also has encouraged churches to step out of their ghetto (isolated area) and to see Indonesia as their common mission field. Therefore, as shown in The Document of Christian Unity in Indonesia, many churches believe that each church in its place is an integral part of the whole church of Christ, and that’s why they decided to support one another in mission. Number of activities have even been carried out by churches and ecumenical agencies to advocate justice and ecological issues. Therefore, as I said before, the ecumenical movement in Indonesia is not totally stagnant. But on the other hand, I also have to say that there is stagnation in ecumenical journey; in the sense of not making any further progress. What kind of further progress that can not be achieved by ecumenical movement in Indonesia? Actually, there are a number of important data in the PGI research report on ecumenical movement in Indonesia 2013. But in this writing, I just want to explain the stagnation by taking point of departure from the weakness of communion of churches and other ecumenical agencies to manage ecumenical table at various levels. 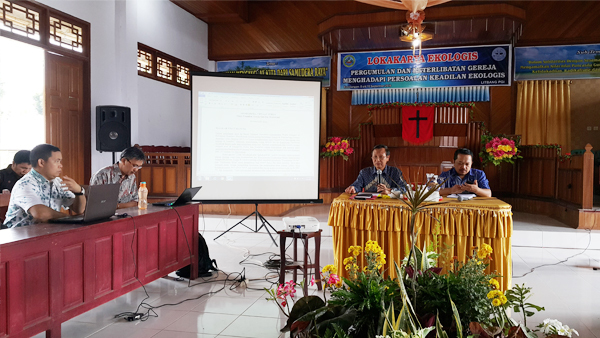 First, communion of churches and other ecumenical agencies in Indonesia play weak role to develop theological convergence among churches in Indonesia. This weakness has impact on the widening of theological gap between churches at the local and national levels. The situation is getting worse as the process of institutionalization in church internal life become more intensified at many levels. Therefore, each church tries to secure its identity by strengthening regulations and institutional boundaries. Second, communion of churches and other ecumenical agencies are unable to deepen and strengthen missional awareness of the churches to see Indonesia as their common mission field. This problem finally brings mistrust and identity-based conflicts among churches as the impact of competition to seize mission territory at province and district levels. Third, communion of churches and other ecumenical agencies are unable to manage and develop ecumenical table at local level where churches come to work together and solve the problem among them. They are even weak to animate ecumenical initiatives at local level. That’s why, in many places, congregations live without ecumenical table at their place (local level). And at this point, I think communion of churches and ecumenical agencies seem like forgetting one of important principles in ecumenical movement that the true test of ecumenical movement is at local level where believers grow together in common worship, witness and mission. Fourth, the intensified process of institutionalization makes ecumenical institution become a place of competition among churches to get more power and influence to push through their agenda or to get more benefit from ecumenical events or programs. Therefore, sometimes church functionaries tends to give more attention to place their men or allies in ecumenical institution, and not giving more effort to make ecumenical movement alive at local level. 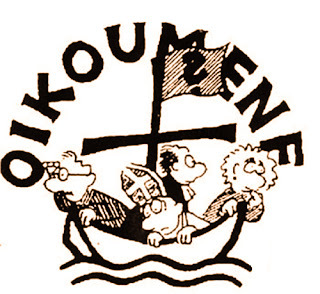 Fifth, some service agencies that belong to synods and other ecumenical forums/institutions seem busy with their missional programs – including protecting their access to domestic and overseas funding – but without having positive impact on strengthening ecumenical table at local level. Sometimes, some programs are implemented by overseas institutions and their partner in Indonesia without doing partnership with communion of churches. This problem makes ecumenical partnership gets weakened at various level and it reflects the weakening of churches and ecumenical agencies awareness of koinonia (communion of God with all of creation). Sixth, the PGI seems can not move beyond its old structure style where ecumenical struggling is supported by single structure. This old style of doing ecumenical movement makes some churches, especially those who are not structurally part of the PGI, feel marginalized in ecumenical movement and so backfire against the PGI. Of course, there is an Indonesia Christian Forum that has function to broaden and deepen ecumenical encounter in Indonesia. But, in fact, this forum is not effective at all (stagnant). All the above problems actually show stagnation in ecumenical movement in Indonesia. Therefore, Churches and ecumenical agencies in Indonesia have to rediscover the awareness of koinonia which is articulated in the strengthening of ecumenical table at various level, especially at local level as the real place where ecumenical movement is tested. Churches and ecumenical agencies have to work hard to strengthen their ecumenical partnership so that the unity could be articulated in common worship, witness and mission to the whole creation. "Tidak ada yang lebih tinggi dari cinta", begitulah keyakinan Farha Ciciek yang – bersama suaminya – menghidupkan komunitas Tanoker di Ledokombo (Jawa Timur). Komunitas yang lahir dari keinginan mambantu anak-anak yang ditinggal orang tuanya karena harus bekerja sebagai tenaga kerja (TKI) di luar negeri, kemudian berkembang menjadi titik pertemuan lintas budaya dan agama. Di dalamnya, proses belajar dan bermain dihidupi dalam suasana yang terbuka bagi kemajemukan serta penghargaan atas kekayaan lokal. Bagi Cicie, dalam hari ketiga pelaksanaan SAA 2014, menemukan sesuatu yang lokal sangat penting dalam pendidikan multikultural. Dan karena itu, permainan egrang maupun aktivitas seni seperti menyatu dalam kehidupan komunitas Tanoker. Bahkan, proses belajar dan bermain pun berlangsung melalui perjumpaan anak-anak dengan komunitas dari berbagai agama dan bangsa yang datang untuk saling belajar satu dengan yang lain. Dalam konteks menemukan yang lokal, menarik membaca pernyataan Cicie bahwa melalui komunitas Tanoker dia sesungguhnya ingin menerjemahkan semangat pela gandong – yang menjadi bagian dari kearifan lokal masyarakat Maluku – dalam kehidupan anak-anak di Ledokombo. Di sini persilangan budaya sepertinya menjadi jiwa dari komunitas Tanoker tersebut. Bagi Cicie, semua ini dimungkinkan karena cinta; sambil merujuk Jalaludin Rumi. Dan rasanya, cinta juga yang membuat seorang Weilin Han – salah satu pembicara dalam SAA 2014 – memberi perhatian untuk menjembatani anak-anak dari kalangan menengah ke atas (secara ekonomi) dengan komunitas di sekitar yang berbeda status ekonomi dan agama. Dalam uraiannya, Weilin seolah-olah hendak menekankan bahwa pendidikan multikultural membutuhkan keberanian untuk keluar dari ghetto di mana kecurigaan, prasangka dan kebencian antarkelompok/etnis dipelihara di dalamnya. Dalam menggumuli rencana tindak lanjut, dengan memperhatikan berbagai masukan dan pengalaman di lapangan, para peserta seminar SAA 2014 membuat surat terbuka yang ditujukan kepada rumah transisi Jokowi-JK. Surat tersebut berisi permintaan kepada pemerintah baru agar memberi perhatian yang besar pada nilai-nilai kebhinekaan yang belakangan ini mengalami kemerosotan dalam dunia pendidikan dan berbagai kebijakan pemerintah (pusat dan daerah). Selain itu, para peserta juga menggariskan perlunya perhatian – dari keluarga, lembaga pendidikan, lembaga keagamaan dan pemerintah – untuk mendorong: (1) sosialisasi nilai-nilai multikultural, (2) mengintensifkan perjumpaan lintas agama, (3)memberi perhatian pada kearifan lokal, (4) menghilangkan pemberlakuan simbol-simbol agama secara diskriminatif di sekolah-sekolah umum, (5) adanya monitor terhadap tayangan/informasi diskriminatif yang disiarkan media dan (6) meninjau kembali peraturan-peraturan yang menabrak semangat kebhinekaan. Para peserta yakin bahwa sesungguhnya kita di Indonesia memiliki potensi (opportunity) untuk mendorong pendidikan multikultural di sekolah, lembaga agama dan keluarga. Hal ini mengingat Indonesia memiliki kearifan lokal yang tersebar di berbagai daerah, budaya gotong royong, komunitas lintas agama yang tersebar di berbagai tempat serta tentunya memiliki Pancasila dan UUD 1945. Dengan kata lain, para peserta SAA 2014 meyakini bahwa pendidikan multikultural merupakan sesuatu yang mungkin dilaksanakan karena, dengan memperhatikan kondisi riil yang ada, Indonesia memiliki potensi (opportunity) yang bisa dimanfaatkan, dan apa yang dilakukan oleh Cicie dan Weilin sesungguhnya memperlihatkan hal tersebut.